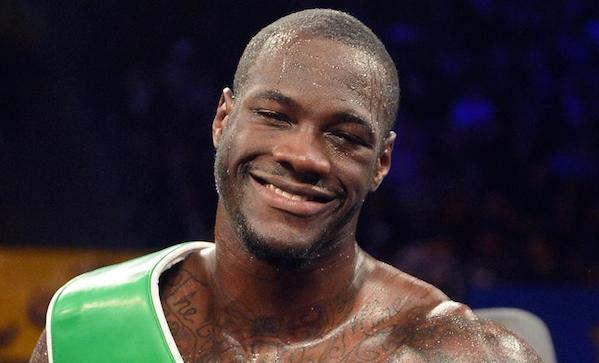 Deontay Wilder—the giant in the black trunks—isn’t just a pro boxer. He’s an undefeated American heavyweight champion, and a serious contender for the world title. Thirty-one fights, all wins by knockout. The man is, by any stretch of the imagination, a monster. Now, see that little guy in the black trunks? That dude (we aren’t going to use his name) is an internet troll who’s apparently spent the last few years trolling Wilder, harassing him by phone, throwing racial slurs at him, and mocking Wilder’s young daughter, who has spina bifida. In this video, we see the little troll beaten into submission. It’s sort of a disappointing victory, though, since the stupid little punk, who walked into the fight claiming to be the best, still thinks he’s a world champion. And calls other people delusional. For some reason.